After taking office, President Lyndon Johnson became more concerned about the capability of Saigon government in handling the Viet Cong guerillas. In early 1964, he decided to increase military aid to South Vietnam and created more pressure on the North. As a matter of fact, a series of covert attacks against North Vietnamese coastal targets were conducted as part of Operation 34A (also known as OPLAN 34A). Although Operation 34A was a South Vietnamese naval mission carried out by South Vietnamese Navy, a declassified record of National Intelligence Estimates showed that the United States purposefully directed it as an attempt to anticipate Hanoi’s reaction. In fact, the 34A missions were controlled by the U.S., using boats maintained by the U.S. Navy to attack targets selected by the CIA and overseen by the Department of Defense. In addition, U.S. Navy also conducted occasional espionage missions, known as DESOTO patrols, further offshore in the Tonkin Gulf. These types of patrols had previously been implemented off the coast of the Soviet Union, China, and North Korea by using American destroyers cruising in international waters to conduct electronic surveillance operations. By July 1964, the United States made a dangerous move when scheduling the patrols in the vicinity of Operation 34A raids. In the mission, DESOTO patrols although operated in the international waters could easily be perceived as a collaborator with OPLAN 34A raids against North Vietnamese targets. On July 28, 1964, the USS Maddox departed from Taiwan to North Vietnam to commence a DESOTO patrol. On the night of July 31, when the destroyer was operating in Gulf of Tonkin, North Vietnamese facilities in both Hon Me and Hon Ngu islands were attacked by the 34A raids. After observing North Vietnamese torpedo boats pursuing South Vietnamese vessels which had attacked a North Vietnamese radar station on Hon Me island, the Maddox withdrew from the area. By August 1, the destroyer returned to the area and was back on her routine patrol. On the afternoon of the next day, Maddox detected three North Vietnamese torpedo boats approaching her position from the west. Alerted to the threat, Captain Herrick, the Maddox’s commander, requested air support from the USS Ticonderoga aircraft carrier. Four F8 Crusaders took off and vectored towards Maddox’s position almost immediately. When the North Vietnamese came within 10,000 yards of the ship, Herrick instructed his gun crews fired three warning shots. The shots were fired across the bow of the closest boat. In return, North Vietnamese boats launched a torpedo attack. After fifteen minutes of maneuvering, Maddox scored hits on two enemy boats while being struck by a single 14.5mm machine gun bullet. Meanwhile, four F-8 Crusaders from the USS Ticonderoga arrived and strafed the North Vietnamese boats. Suffered multiple firing runs of the F-8s, two leading boats were heavily damaged and the third was left dead in the water. The next day, the Maddox, reinforced by the Turner Joy, resumed her Desoto patrol. 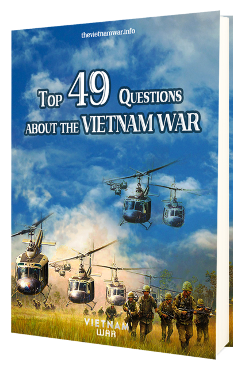 That night, South Vietnamese staged the fourth OPLAN 34A raids on North Vietnamese installations in five days. On the morning of August 4, while cruising in heavy weather, the ships received radar reports that they were approached by speeding vessels. Both the Maddox and the Turner Joy fired repeatedly on numerous radar targets in the stormy night. However, many historians suspected that the “second attack” in Gulf of Tonkin never occurred. There was no physical evidence of the August 4 attack. The Navy further claimed their ships had sunk two attacking torpedo boats but there was no wreckage, nor bodies of dead sailors. Squadron commander James Stockdale, one of American pilots from the USS Ticonderoga flying overhead during the alleged attack, recalled that he saw American destroyers were just shooting at phantom targets and claimed no PT boats were there. 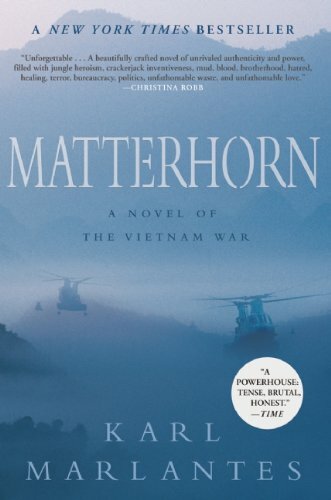 Hours after “the attack”, Herrick and his crews after reviewing preceding events reported his doubt back to Washington that there may actually have been no Vietnamese craft in the area, and therefore, the second attack may not have happened. Although the August 4 alleged attack was not yet proved, President Johnson and his advisers immediately approved a retaliatory attack. On August 5, American planes flew 64 sorties, bombed four torpedo boat bases and an oil-storage in Vinh. On the same day, Johnson requested a passage of resolution for “all necessary action” to support freedom and protect peace in Southeast Asia. On August 7, the U.S. Congress, with almost unanimity, approved the Gulf of Tonkin Resolution, which authorized the chief executive to use military force in Southeast Asia without requiring a declaration of war. Seven months later, the first U.S. ground troops arrived in Da Nang marking the beginning of 10-year-long direct involvement of the U.S. in the Vietnam War.